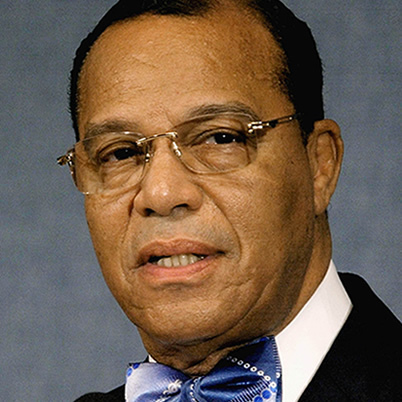 You are here: Home / News / Louis Farrakhan – Speaks on Hatred, President Obama, etc. Louis Farrakhan – Speaks on Hatred, President Obama, etc. (ThyBlackMan.com) Minister Louis Farrkhan, never a man to keep his words to himself, spoke about the hatred being spewed toward President Barack Obama and his family. He goes on to contextualize how this hatred is built from historical resentment of African Americans who either fail to “know their place” or demand that they be placed in positions of power and leadership. Louis Farrkhan’s remarks in support of President Obama might be surprising to some, after he bashed the president for being a Christian in support of gay marriage. But Louis Farrkhan’s words make perfect sense to those who understand that you don’t have to worship Obama in order to support him. There is a clear difference between holding your president accountable and disliking him. Similarly, there is a clear line between supporting your president and agreeing with every decision he makes. To some extent, supporting a politician can be like raising a child. You know that your black child has obstacles, but you never let those obstacles be a consistent excuse for him not keeping his commitments to you. Sure, the teacher might be mean and racist, but that’s no excuse for him to not do his homework. Yes, the boy down the street might call him nasty names, but that has nothing to do with whether or not he cleaned his room last night. In some ways, some end up treating President Obama like that spoiled child being raised by a parent who feels sorry for him. Maybe because the boy doesn’t have a father at home, the mother showers him with Christmas gifts every year, doesn’t make him clean his room and allows him to be lazy. Maybe because he’s a black male dealing with a racist society, she doesn’t yell at him for living in her basement well into his twenties, sitting in front of the TV all day playing X-box in his underwear. In other words, she might think that loving her son and empathizing with his pain means that she shouldn’t push him too hard. After all, the world is pushing him hard enough, and by getting on him for what he’s not doing, she may feel that she is adding to the weight of his oppression. This line of thinking is what creates so many men who never learn the responsibilities of manhood. They are raised in situations that spoil them, never teach them to work hard and never demand accountability. As a result, such a man grows up thinking that he can make 10 babies and not pay child support. He thinks that he can live with his mama until he’s 32-years old. He thinks that he can break the law and then cry in the courtroom when the judge sends him to prison. It’s all a very familiar process and many of us know men like this in our own families. This line of thinking must also apply in how we process the good and bad of the Obama Administration. Demanding something for your vote doesn’t mean that you’re piling onto the criticism from the Republicans, it means that you’re doing what you’re supposed to do. Also, supporting the president doesn’t mean that you have to fall in love with him. There is no room for love in politics. That’s like falling in love with Wal-Mart: Their goal is not to love you; rather, their consistent objective is to get as much money from you as they possibly can. They say that you’re wasting your vote if you don’t show up to the polls. Actually, you’re also wasting your vote if you support a politician and ask for nothing in return. Louis Farrkhan, by remaining supportive yet critical, is maintaining the objectivity necessary to make good political decisions. He is actually in alignment with Colin Powell, who makes it clear that he is no one’s political slave. Ironically, although Powell and Louis Farrkhan appear to be on different sides of the political fence, they are very similar kinds of black men: They both believe in old school values, have strong leadership ability, and understand the strategies necessary to win battles and wars. Maybe we can learn a few things from the both of them. Louis Farrkhan’s video is below. page dailly and get good data from here everyday.